Clay work – How it works? There are three major steps that are followed while producing clay products. 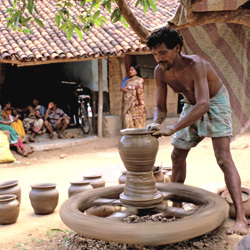 •	Wheel: it is the most common way to produce a clay pot. Potters place the mud on the top of the wheel’s head and rotate the wheel. It gives the mud a desired shape. However the process needs a lot of training and practice. It is not that easy to give a shape to such elements if you don’t know how to use it. •	Beautification and Baking: once the pots are made, it needs to be baked or dried up to make it sturdy. But before baking it, potters beautify them to give them a better shape. •	Final work: Finally when the pots are ready and dried up, potters add glass and beads on them to make them catchy and designing. 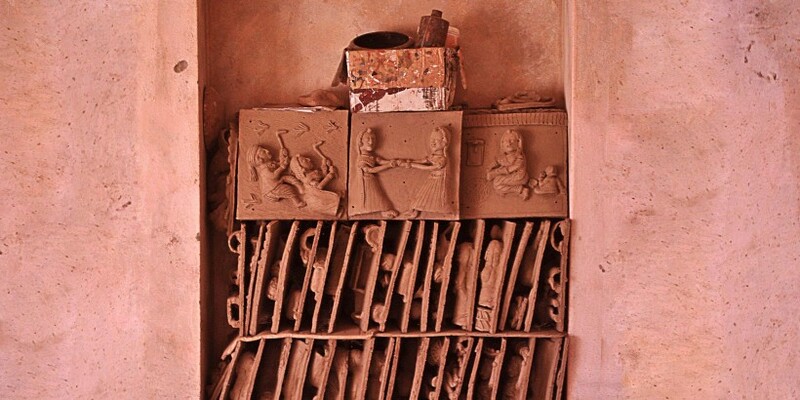 Terracotta is yet another reason why Kutch has become one of the most desirable travel locations in Gujarat. It is also a part of clay and mud work. 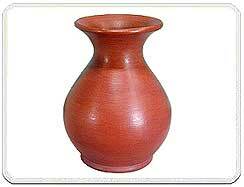 The word terracotta means baked earth. Tribal women apply a special red mud pack on the clay pots and bake them on fire to produce a sturdy terracotta product. 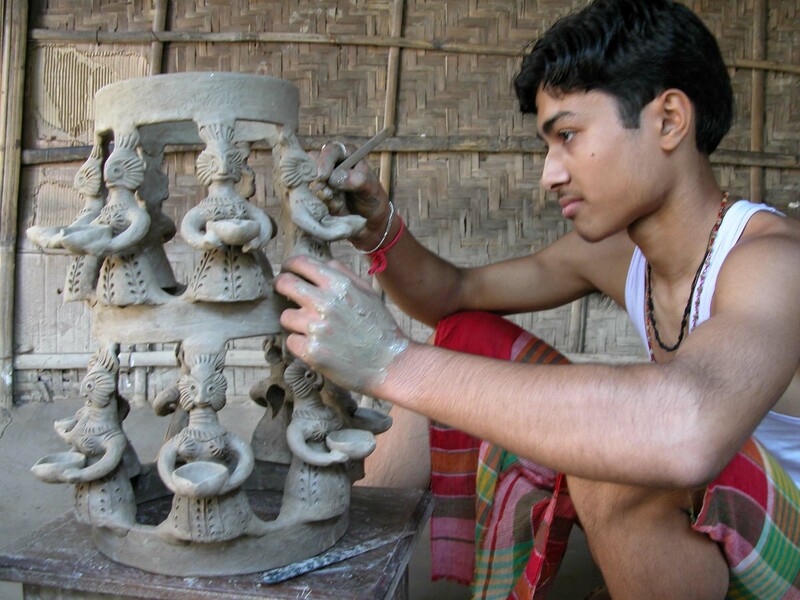 Kutch, Chhota Udaipur, Vadodara, Vijaynagar are the places where these artisans are made and widely available. 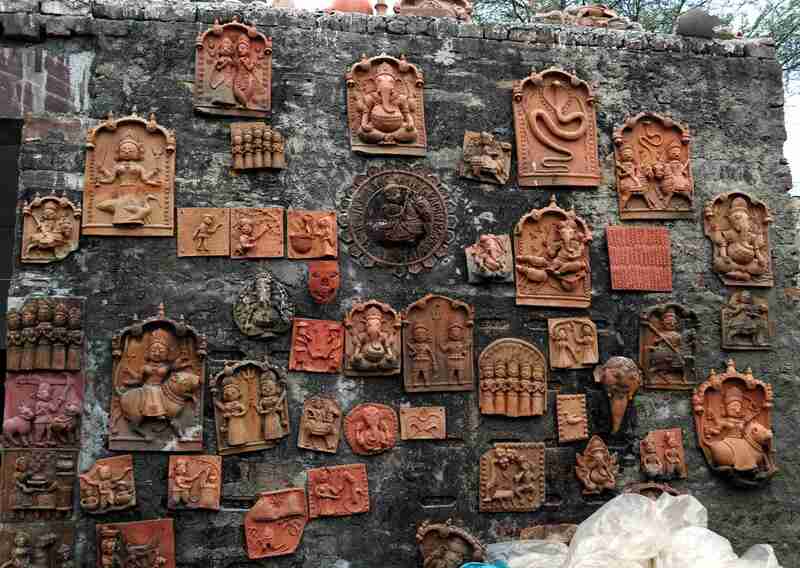 From home decors to toys, from kitchen utensils to jewelry – all these clay and terracotta made things are hugely popular in the state. Apart from these regular things, one can get a wide range of clay paintings, wall hangings, terracotta home decors and lot more. Among all these products, terracotta jewelry is the most popular thing in there. Kutch, one of the main travel spots in Gujarat, has such beautiful and authentic jewelry to offer.